Because of these properties, aluminium also makes an excellent alloy constituent. Aluminium bronze for example offers greater strength and corrosive resistance in comparison to other bronze alloys. It is also tarnish resistant and has low oxidation rates at high temperatures. The low rate of corrosion in atmospheric conditions and in sea water make aluminium bronze the perfect choice for many engineering projects especially those for engine components, sea water-related components, petrochemical uses and any project that requires anti-corrosive properties. All these factors make aluminium a very attractive choice. Its versatility coupled with its corrosion resistance and green credentials (in so far as it is 100% recyclable) have ensured it remains a popular metal of choice. But as every project is unique you will need sheet aluminium, perforated aluminium or aluminium pipes that suit your exact needs and specifications. That is where we come in. By using our metal sourcing service, we will find just want you are looking for, fast. Why waste your time trying to find your exact requirements at the right price when we can do that for you? One call is all it takes. 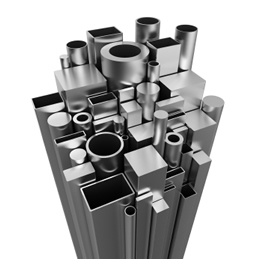 So whatever type of aluminium you are looking for, we will find it quickly. Plus if you need any technical help or advice or any sub-processing services, we can help you with that too. Call us now on 0800 0113 091 and contact us for more information about sourcing aluminium.